Legal — MIDWEST TACTICAL INC.
NFA firearms are divided into six types - Machine guns, silencers, Short barrel shotguns, short barrel rifles, AOW's and Destructive devices. For all practical purposes these can all be considered pretty much the same in the way the transfer process is handled by ATF. These types of weapons are legal in most states (see our legality map) and are easier to acquire than many people realize. In fact if you can buy a handgun at your local gun store ATF will most likely approve your transfer of an NFA weapon. We have had very few customers denied transfer of an NFA weapon. There tends to be a lot of confusion about how the NFA transfer process works. The following is a brief description of the process, designed to help our potential buyers understand what is required. Your local class 3 dealer will work with you on submitting a one page (front and back) form called an ATF form 4. The dealer normally completes the front of the ATF form 4 with information about the firearm, serial number, etc as well as his FFL numbers and info. On the front page your name or trust name will be listed as the transferee of the item. You will normally complete the back of the form and will attach a passport size physical photo of yourself. Fingerprints are also currently required. The CLEO sign off is no longer required. This is a big change as this means your local law enforcement agency will no longer be able to block your acquisition of legal NFA firearms. After your form four is ready to send, it should be sent in duplicate to NFA branch along with a one time 200 dollar tax payment. 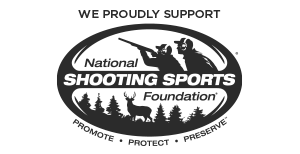 The NFA branch will do a background check and verify the document sent is correct prior to approval. You will be able to check on your transfer via phone, but will need the serial number for the item in order to check. The process times for items going to individuals, trusts and corps vary based on ATF work load, but have been averaging roughly 4-6 months. When the item is approved NFA will send the approval to your local dealer. At that time it will be legal for you to possess your new NFA firearm! The NFA purchase process takes time, and is frustrating for some because it takes a fair amount of time to actually acquire the item purchased. It is however, worth the wait. Most of our customers very much enjoy their machine guns and silencers. Its an amazing privilege to own these types of weapons and is a privilege not available to law abiding citizens anywhere else in the world! Due to the 1986 ban on further production of machine guns for civilians, these have become the most collectible firearms available. Our sources tell us there were approximately 250,000 registered transferable machine guns when the 1986 ban was put into place. Due to various causes of loss, there are now approximately 186,000. As a result of a decreasing supply and a vastly increasing demand, these have been an excellent investment. It may be a wise decision to invest in machine guns as part or your retirement portfolio. I hope this has helped eliminate any confusion and answered some of the questions you may have had. Feel free to contact us with any questions.